Although it’s common to introduce students to the idea of writing research reports in third or fourth grade, fifth grade is usually the year when students are asked to produce a three-or four-page paper that is well-researched and coherently organized. It’s tough for parents to walk the line between offering homework help and making sure the students do the work themselves. One effective solution is to enroll your child in an after school program near Pembroke Pines. 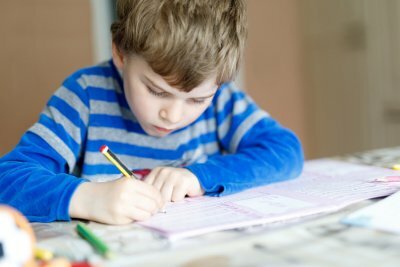 After school activities can include professional homework help. First, your fifth-grader needs to identify a topic of interest. The teacher may assign a broad topic, such as the Revolutionary War or the Industrial Revolution. Help your child choose one narrow topic from these broad categories, such as famous ride of Paul Revere or the invention of the cotton gin. Take your child to the library and browse books to identify a topic and begin researching it. Then, have him or her do some Internet research using a child-friendly browser. Teach your child how to recognize authoritative websites. Encourage your child to organize his or her notes and thoughts during quiet study time in the after school program. At this stage, your child should begin developing an outline. Some kids struggle with this, but it may help for students to think of different sections as categories. For example, categories of information for a paper on poison dart frogs might include what the frogs look like, what they eat, and where they live. The introduction and conclusion are common problem areas for fifth graders. If your child struggles with this, you can have him or her write the body of the paper first, and then go back to do the intro and conclusion. The introduction is an appropriate place to get a little creative. Your child could mention a fun fact about the topic. For example, he or she might start by writing that a single golden poison dart frog is toxic enough to kill 20,000 mice. This can provide a nice transition into a paragraph that discusses how the frogs’ bright colors warn predators of their toxicity. Students should get into the habit of finishing their papers ahead of time, and setting them aside for a day or two before proofreading and revising. In addition to polishing the draft during after school care, your child can read the paper aloud to you to see how well the sentences and paragraphs flow.